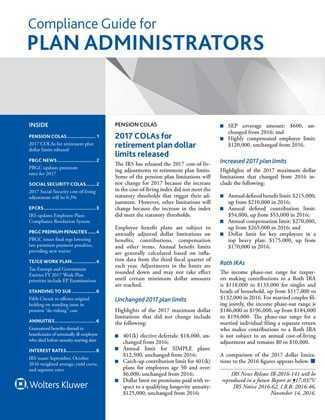 The Compliance Guide for Plan Administrators provides step-by-step and sample guidance for complying with all pension law reporting and disclosure requirements. This helpful resource is designed to lead administrators through the maze of rules affecting plan reporting and disclosure, prohibited transactions, excise taxes and penalties and plan terminations. The Guide features blank forms and instructions, plus plan-reporting calendars. The Guide also includes a newsletter.